The tale of 2016-17 has been of anti-neoliberal populists hijacking great parties and great states, forcing policy change down the throats of elites who believed they had arrived at a permanent consensus. They have largely been the harbinger of an uglier form of politics, giving breath to nationalists, racists, and irrational bigotry that are a strain on the powers of their states. Romania is not immune to the winds of populism. But unlike the rest of the European Union, here the rising is by those who are demanding more rational, more efficient government. It is still populism, but without the ugliness. Since February 1st, Romanians have been braving frigid winter temperatures to call for the resignation of their two months old government. For their new government is up to the tricks of their old one, and for many Romanians, that is a bridge too far. Romania’s essential tale: the struggle to overcome the past. Romania was once a Roman military frontier province. Conquered during the Roman heyday and organized as the province of Dacia, Romania is actually a Romantic country, its language heavily influenced by Roman military terminology and Vulgar Latin. It was not turned Slavic nor Gothic by successive invasions; instead, Romania grafted invaders onto its own culture, developing a distinct identity in the embrace of the Austro-Hungarian Empire by the end of the 19th century. Romania’s position just beyond the Danube has given it a firm southern border; it is hemmed in by the Carpathian Mountains to the northwest, solidifying its northwestern frontier. It also enjoys a coastline on the Black Sea, though this is mitigated by Turkish command of the Dardanelles. It is, in other words, a reasonable regional power, if one confines it to southeastern Europe alone. But it has long had to contend with greater powers who have used it as a military frontier, from the ancient Romans to the Hapsburg Austrians to the Turks to the Soviets. It is the last – the Russians – that left the most recent scar. In the wars against the Ottoman Turks, the Romanians homogenized their land religiously; unlike Bulgaria, which has sizeable Muslim minorities, Romania has few human traces of Turkish occupation. It was World War I where the essential story of Romania begins. Thanks to Wilson’s 14 points, Romania was a nation ripe for a state. As the Hapsburg Empire collapsed in the morass of defeat, Romanians had a state thrust upon them by well-meaning internationalists. Romania began, as many post-Hapsburg states did, as a kingdom, guaranteed by the victorious Allies. 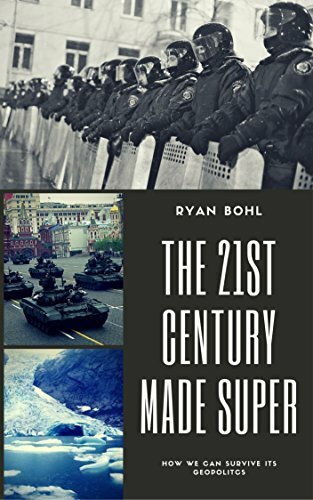 But when World War II broke out and France was conquered, Romania calculated it would be better to be part of Hitler’s New Order than to end up occupied by either the Nazis or the Soviets. Not a great use of time: Romanian troops on the Eastern Front. But Hitler exacted a heavy price. When the Nazis invaded the USSR in 1941, Romania was forced to send troops as well. Defeat on the Eastern Front led to occupation by the Soviets, who turned Romania into another piece of their Iron Curtain. Because Romania was not on the border of any NATO state, it was given a degree of autonomy that other Warsaw Pact states did not enjoy in regards to its internal development. Romania had only two Communist leaders: Gheorghe Gheorghiu-Dej and the infamous Nicolae Ceausescu. Because both were loyal to Moscow, neither suffered an invasion by Soviet armies during the Cold War. And it is from them we come to understand now. Both Gheorghiu-Dej and Ceausescu inherited a proto-royal state in which patronage networks extended deep into the Romanian countryside. This meant that the Communists didn’t take on these patronage networks as they might have; rather than combating corruption, Communism reinforced it. This corruption was a classic “pay for play” system, with citizens needing to bribe officials for even the most basic of services. So long as some of that bribery was sent back to the countryside, the system worked; poor farmers and rural dwellers would take the scraps off the corrupt urban officials. Meanwhile, the middle classes and intelligentsia were squeezed. Under Communism, there was little they could do anyway. This helps partially to explain the brutality of Ceausescu, who ranks as one of the worst of the Warsaw Pact dictators. Taking wealth from the cities for redistribution in the countryside while keeping the lion’s share for himself, he was more than willing to use force to protect himself. His brutal regime is especially remembered because he largely targeted the urban, literate classes most likely to write down and record such attacks. It is also no coincidence that when a revolt began against Communism, the urban classes of Romania took a particularly violent turn. While other Warsaw Pact states were also corrupt, few of them had hinged on a personality who exploited cities so thoroughly. It was a huge strategic mistake: alienating those closest to you always is. When it became obvious the Soviets would not invade to save any tottering Warsaw Pact regime, the city dwellers of Romania rapidly overwhelmed Ceausescu’s clique and executed him. But this did not destroy the patronage network that went back to the country’s foundation. Political power in Bucharest could still be won over by mobilizing the countryside at the polls through these same networks. While Communism had fallen, the old way of politics remained. Not a great view for any dictator: the protests of 1988-89. Until the European Union came and changed expectations for the city-dwellers. When Romania joined the EU in 2007, there was serious concern that political corruption in Romania would slow down growth and make EU governance difficult, if not impossible. Joining the EU was a hope of the urban classes, who knew that being linked to the EU’s trade networks would benefit them first, while giving them the legal cover to attack the patronage networks that continued to empower a handful of cliques in big cities. Urban citizens, especially younger ones, saw themselves more as citizens of Europe than their corrupt localities. They did not see a reason to cooperate with a bribe-hungry official now that they enjoyed the same rights as the Germans or the French. At the same time, political parties in Romania failed to evolve. Young Romanians were turned off to politics, believing that none of the parties could break the logjam of corruption. When a vote was called in December, one of the bad old parties – the Social Democratic Party – won power using the bad old political model. Rural voters loyally returned predictable votes while young, educated urban dwellers largely sat out the election. Except something had shifted inside Romania. When the Social Democratic Party – the PSD in Romanian – tried to loosen corruption laws that were too often jailing members of its party, they awoke a section of citizenry that they did not realize were there. Hundreds of thousands of Romanians took to the streets to protest the move. They had come to expect better goveranance from their EU membership; now, provoked so openly, they mobilized to stop a slide to the bad old days. Meanwhile, Russia, who might cheer such a government, sits idly by. Russia very much has been a cheerleader of corrupt regimes from Ukraine to Moldova, largely because that kind of illiberal democracy does not threaten Moscow’s power and can be manipulated at will. Yet the Kremlin hardly stirs in Romania, at least for now. Romanian Communism is widely detested; any manipulation by Russia would have too many Soviet echoes. But Russia does not have the interest and the power to change the political facts on the ground in Romania. Romania is not key to southeastern Europe – Turkey is. Nor will cracking Romania undo the EU; at the end of the day, EU technocrats could argue Romania was already a poor choice for membership. So Russia does nothing, refusing to stir up the same kind of trouble it has in the Baltics and Ukraine. That is not to say they will not do so. Fractures in any European Union state are an opportunity. The Russians just might try a disinformation war in Romania, hoping to pit Romanians against one another. Yet there is a flaw in that tactic: the most likely pro-Russian forces in Romania are rural and not wholly connected to the Internet the Kremlin needs to shape public opinion. Instead of splitting Romania apart, they risk uniting the opposition and creating a formidable, modern Romanian political system with more professional, capable parties. This might be what democracy looks like. The protest movement has scared the government, but it has not won yet. Should protestors go home, the bad old ways may return. Yet if in the public spaces of Romania a new political system forms, it will do the country a great deal of good and be the only bit of good news to come from the European Union in a long while. Here’s hoping for the latter. The protesters from bucharest are manipulated sheep by the corporations, in order to terminate a legitimate government, that did nothing illegal, and who wants to raise some taxes for the big businesses, the majority of them foreign owned. The parties apart from PSD were never able to offer a stable and good government. That seems the opposite of all credible reports from Bucharest. Do you have any proof? Well, he doesn’t except for some government and rulling party propaganda. During these days we’ve seen quite a lot of such “reports” and “facts” from the government side. They are being backed by 2 major televisions, some local ones and quite a lot of pro-russian and ultra-ortodox (the same thing over here in fact) sites and Facebook accounts. Funny thing though: many of the protesters are not working in corporations but this is the way the rulling party (Social-Democrats but we preffer to call them by their name: Corrupts) tried to change people’s attention from the latest legal measures. Just some small statistics: in over 27 years after the 1989 Revolution the Social Democrats and their allies have rulled over Romania for almost 18 years and a half. Just one year for the Technocrats (2016, best government ever), 4 years for some Democrats coalition at the end of the ’90’s (but if you ask me that was a period without any government) and 3 years and 5 months for the Democratic Party (Traian Basescu’s party, ex-president, pretty corupt, nowadays he is bff with the government). So, who’s to blame for what happened in Romania after the fall of comunism? Is it corporations and Soros ( 😀 ) or is it the local Mafia aka PSD&friends? Thank You for this amazing article. It is the best synopsis of Romanian history I ever heard. You saw in these comments that the Government affiliated people tried to comment using the official Government propaganda. Which is complete BS. Soros was always used , to introduce an external force to justify the movement, it failed. Now they started to invoke external forces (multi nationals, Hungarians, etc.). The Romanian Academy issued a xenophobic statement but some of the members of the Academy dissociated from it. This is a struggle that will decide the future of Romania, finally the young generation got heavily involved in the political struggle for the future of Romania. Loosing this battle , will be a blow to the EU and a great help to Putin who uses the eternal “divide et impera”. I published links to this on the social media. I would love to connect with you to further discuss. I live in San Francisco. There’s a Facebook page you can use to reach out to me directly called Geopolitcs Made Super. I’d love to connect more with readers.